Many things can cause a ‘slip and fall’ accident. Things like poorly lit stairways, narrow stairs, wet floors or a torn carpet can be blamed. However, these conditions would have been made better and the resulting accident avoided, had it been the property owner was less negligent. It is an uphill task to investigate whether the accident was caused by your carelessness or the defects on the property. If you are pursuing this legally, you should let an experienced ‘slip and fall’ accident attorney help you. Folks who are resident in Santa Ana, CA can get experienced slip and fall accident lawyers at Rawa Law Group. Rawa Law Group is a popular legal firm that has dedicated its existence to advocacy for injury victims. We have gained trust because we have helped several individuals to pursue and win their injury cases and gain settlement worth several hundreds of millions. Our attorneys with over 55 years of combined legal experience are among some of the most reliable in California and are only a call away. When you hire our legal service, you will enjoy exclusive access to top legal luminaries. You don’t need to pay any consultation fee to gain this access. Also, we will come and investigate your case for free. We will only require payment after winning your case. You will also be given free ethical legal advice. That’s not all. You will be informed on your case from start to finish. You will also enjoy flexible appointment hours with our any of our attorneys, who will also be available to make home/hospital visits if that be the case. 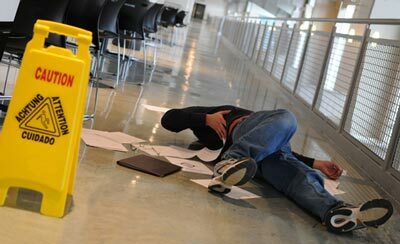 To enjoy our services, hire a ‘slip and fall’ accident attorney Santa Ana, CA at Rawa Law Group.